Serv Tech Pros provides professional Sayreville NJ heating services. This includes water heaters, furnaces, boilers, radiators, radiant heat, gas lines and more. If you have a problem with your boiler, furnace, water heater, radiator, gas line or other heating system, call us now. There is no additional charge for weekend or night work. 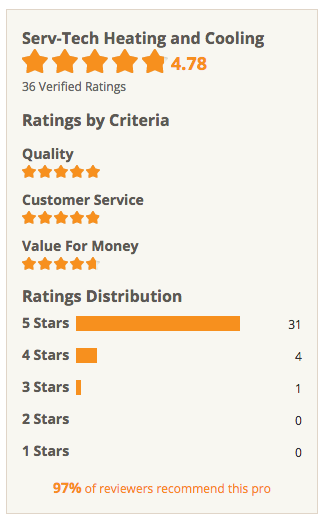 We are a family owned and operated company with excellent reviews from customers. Our Master HVAC licensed technician is qualified and trained to diagnose and fix any heating problem. At Serv Tech Pros, we provide a wide range of heating related services. We do repairs, installations, maintenance of furnaces, boilers, water heaters and radiant heating systems in a large part of New Jersey. Call today for a free estimate or answer to a question. We serve customers in Middlesex County, Union County, Essex County and Hudson County in New Jersey for complete heating services by licensed HVAC technicians. 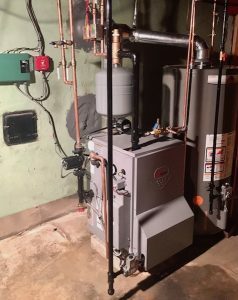 Our NJ heating services include boiler repair, furnace repair, radiant heating installation, oil to gas conversions, gas line installations, water heaters and more. Interested in a modern, efficient thermostat? Contact us for information.